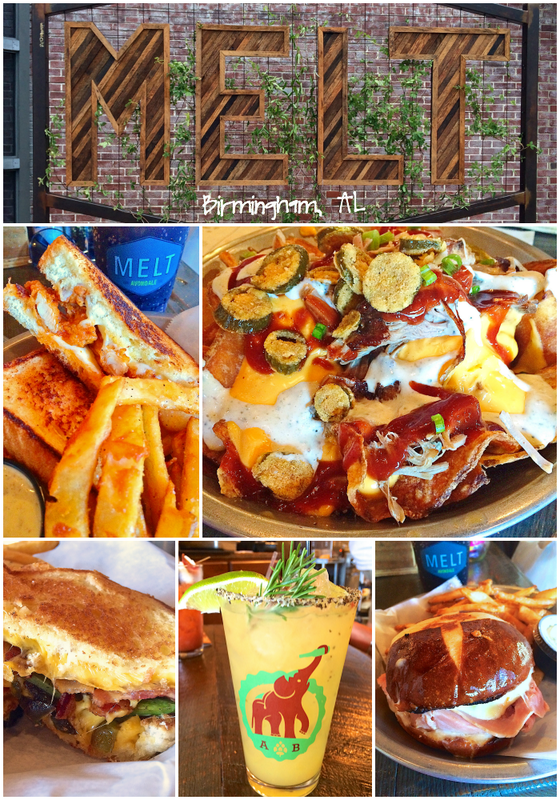 Melt Birmingham, AL - great place to eat in Avondale. Food truck turned restaurant. 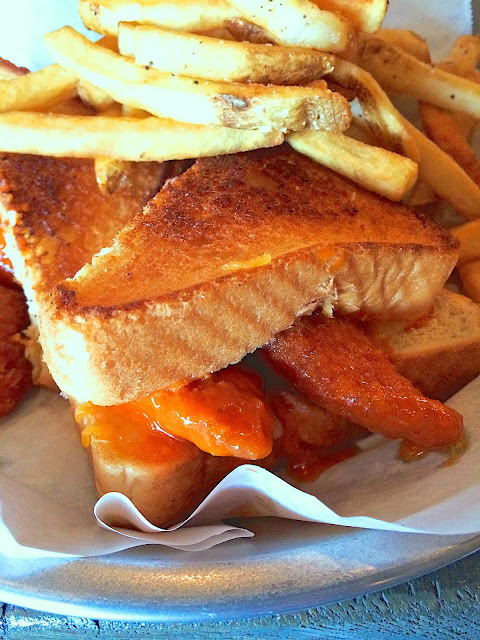 Great cocktails, appetizers and fun grilled cheese sandwiches. 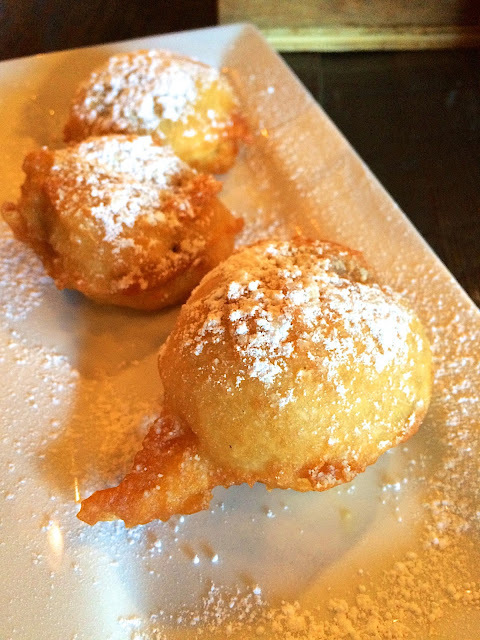 Make sure to save room for the Double Stuf Fried Oreos! 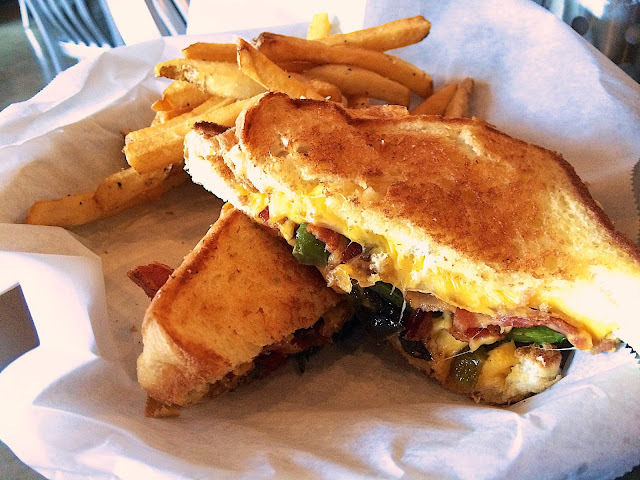 Today I am going to tell you about one of our favorite lunch spots in Birmingham, Melt. 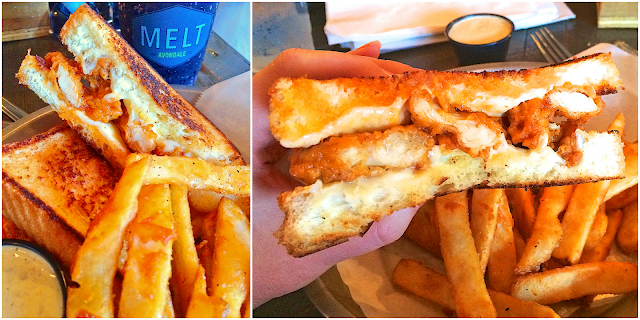 Melt started out as a food truck and then turned into a restaurant. It is located in the Avondale neighborhood in Birmingham. Very close to another favorite place - Post Office Pies. 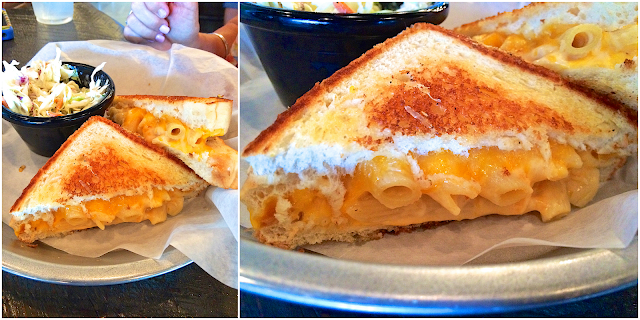 Melt serves tons of great food, but their speciality is grilled cheese sandwiches. Keep reading to see our favorites! 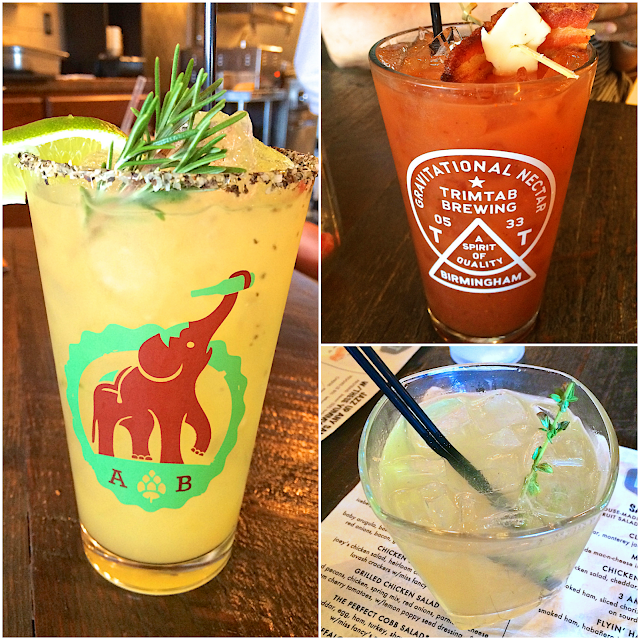 Melt has a really good cocktail menu. All delicious! 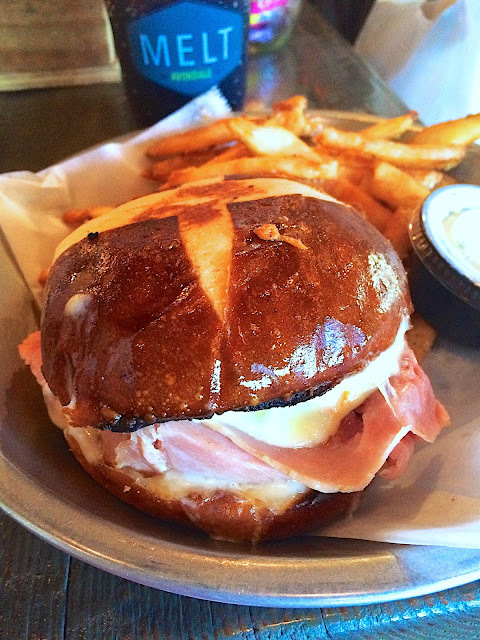 In addition to cocktails, Melt has wine and several local beers on tap. 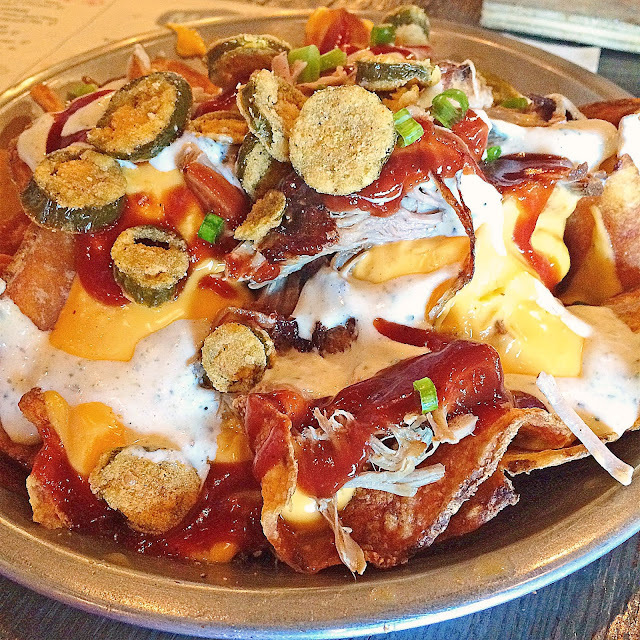 I could make a meal out of these Food Truck Nachos! Pulled pork BBQ, nacho cheese sauce, fried jalapeños, green onions, jalapeño ranch with house-made chips. I am wishing I had some right now! Another favorite appetizer is That's How Matilda Rolls. They are named after the old food truck, Matilda. 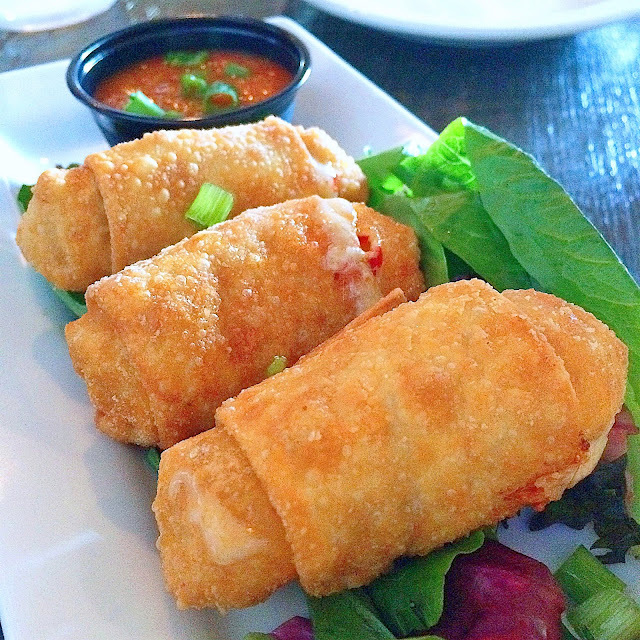 They are wonton wrappers filled with mozzarella, cheddar, red pepper flakes, flash-fried and served with marinara. I could eat two servings of these and call it a day! I like to substitute the jalapeño ranch from the nachos for the regular ranch - super spicy! This is Chicken Legs' favorite. He raves about it! Make sure to save room for the Double Stuf Fried Oreos!!! If you are in The Ham, make sure to check it out!! Wow, everything here looks amazing! Especially the Matilda Rolls!